Mark Warsaba becomes AutoCanada senior vice-president and COO effective April 1. 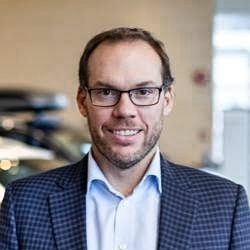 AutoCanada Inc., Canada’s largest publicly traded auto dealership group, has appointed Mark Warsaba its senior vice-president and chief operations officer just days after the company's president, Thomas Orysiuk, resigned. The change comes less than a week after Orysiuk resigned not only as company president but also from the board of directors on March 16. Beginning April 1, Warsaba will report directly to CEO Steven Landry, who now also holds the title of president after Orysiuk’s departure. Warsaba joined AutoCanada in 2013 as dealer principal with Audi Winnipeg and St. James Volkswagen in Winnipeg, Man. He and his family will move to Edmonton, Alb., where AutoCanada is based. Warsaba will be responsible for the operational performance of existing dealerships as well as the integration and performance of new dealerships, the company said in a statement. Warsaba will work closely with Landry and CFO Christopher Burrows. He’ll also be responsible for implementing industry best practices with a focus on same-store execution, new dealer integration and financial performance. Warsaba is currently a member of the National Dealer Advisory Council with Volkswagen Canada, as well as a member of the AutoCanada Dealer Council. His appointment comes shortly after the company reported a decline in fourth-quarter revenue and profit. Quarterly gross profit from existing and new dealerships decreased by 5.8 per cent to $116.8 million. The company has 56 dealership locations holding 64 franchises in eight provinces and has more than 4,250 employees.